Hey teaching friends! I was feeling particularly crafty today and thought I would whip up a fun freebie for you! I know it is hard when you know your students might not be reading as much in the summer as you would like. Or worry that your incoming students will also suffer from the “summer slump” before returning to school in the fall. 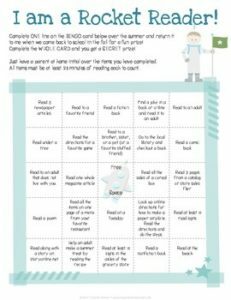 Well, how about a fun little incentive that you could use to enforce the idea that reading is actually F-U-N? ?